Port View students demonstrated their creativity and performance skills earlier this week when our campuses held their talent shows. There was dancing, lip-synching, singing, and a magic show where students even made one of their peers disappear! 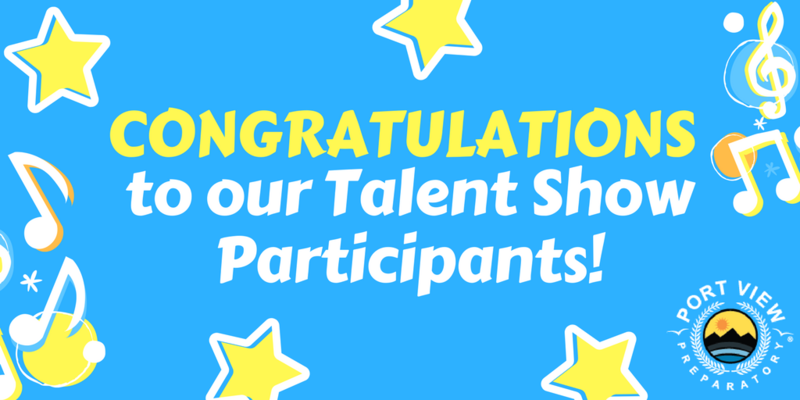 It was so fun seeing so many talents on display, and every act received lots of applause. Congratulations to all who participated for putting on a truly amazing show!